Two months after Orlando police officer Kevin Valencia was shot during a standoff, his coworkers, and Chief John Mina escorted his son to his first day of school. 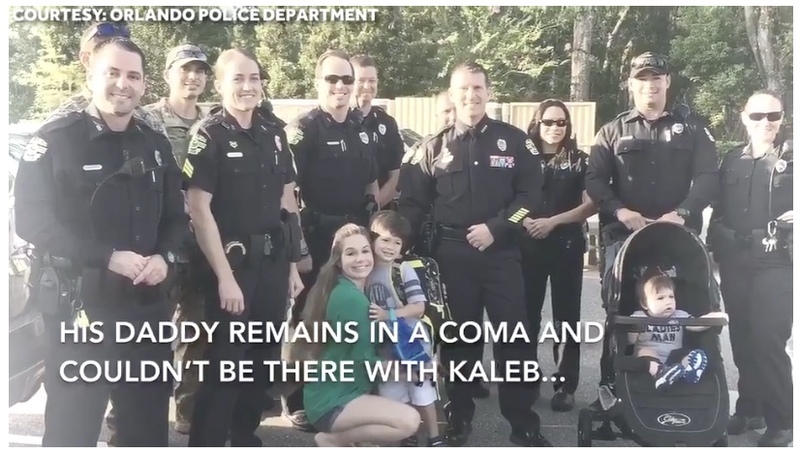 The Orlando Police Department released a video of the group escorting Kaleb to his first day of kindergarten. Valencia was shot during a standoff that killed four children and remains in a coma at a rehab center near Atlanta, Georgia. If you would like to donate to Kevin Valencia's short and long term expenses while he recovers, click here. go here for this video but have tissues ready.